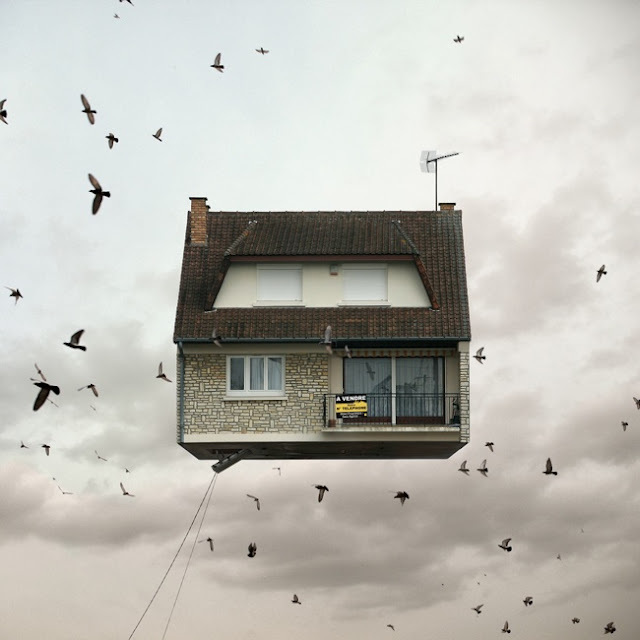 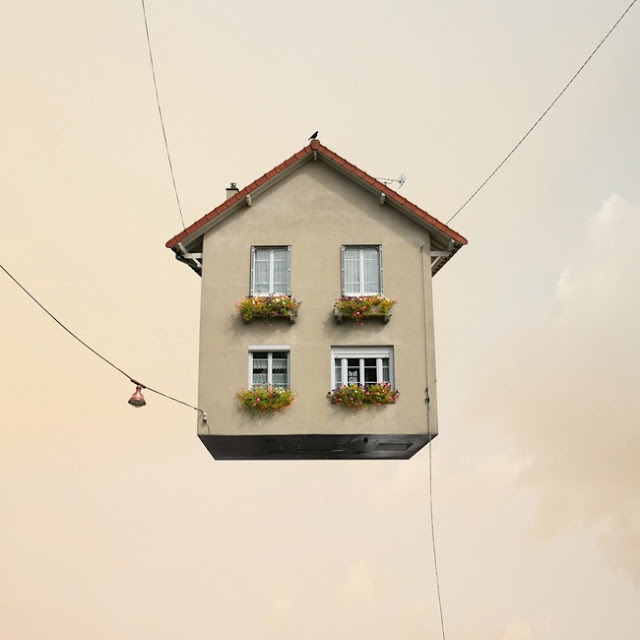 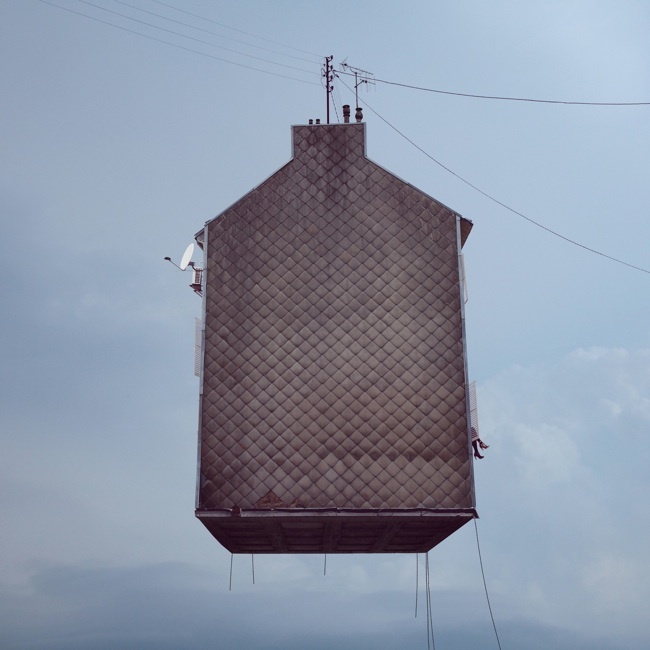 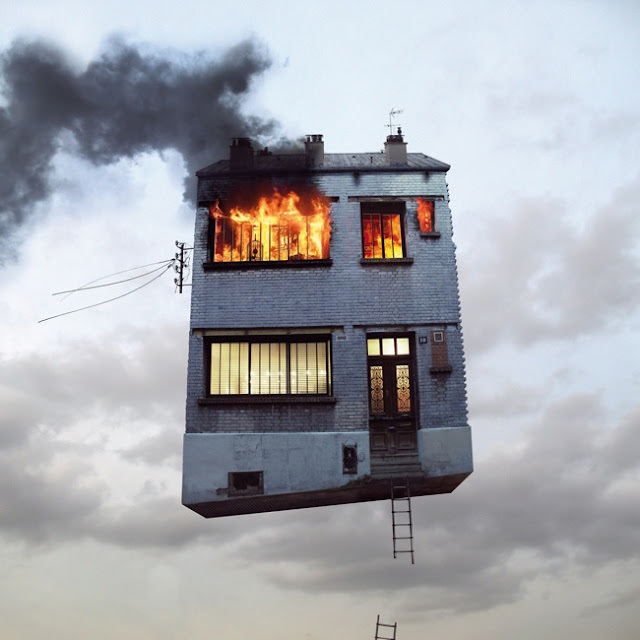 Featuring buildings of Paris' 19th and 20th arrondissements, Laurent Chehere's "Flying Houses" photographs take ordinary architecture and (quite literally) raise it to new heights. 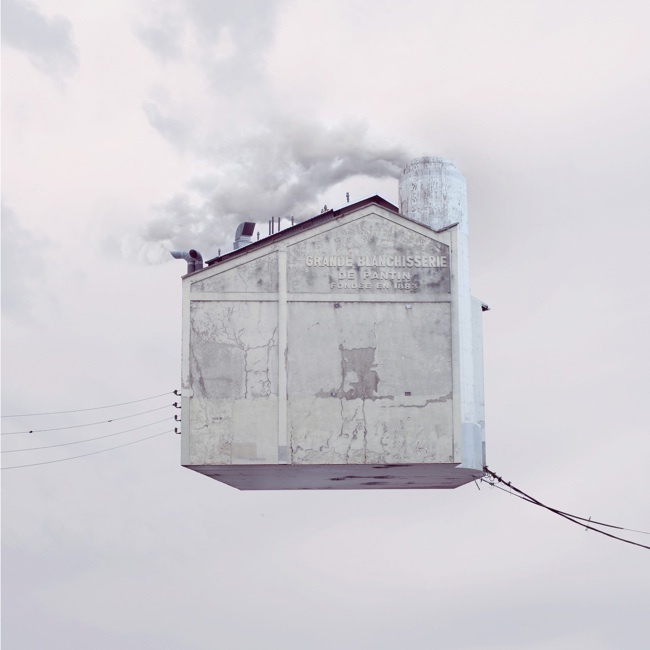 If you happen to be in Paris, you can view the series at the Galerie Paris-Beijing from October 25 through December 4. 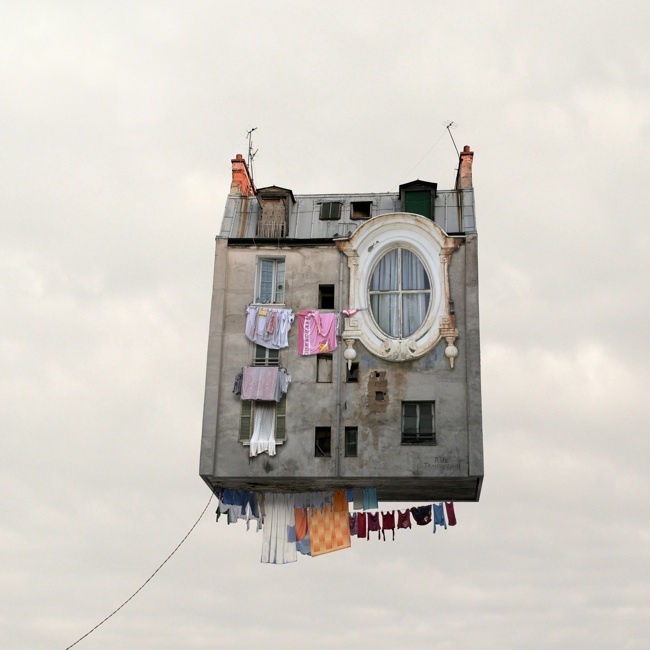 And, if not, you'll find more of Chehere's fantastical photos after the jump. 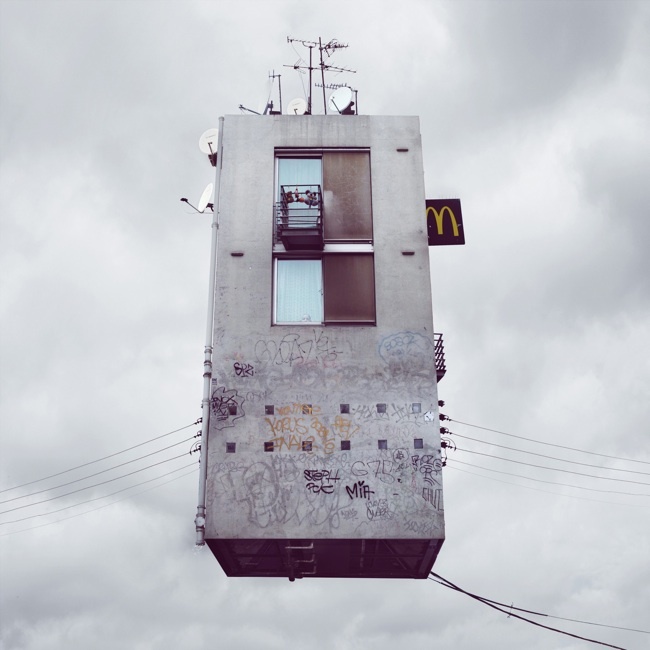 There's something beautifully unsettling about these. 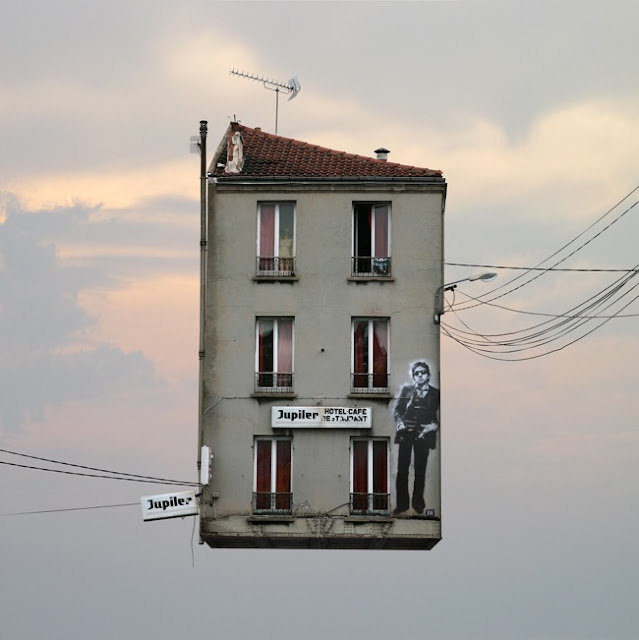 Fascinating images ... I love these! these are awesome- you find the most unique things!